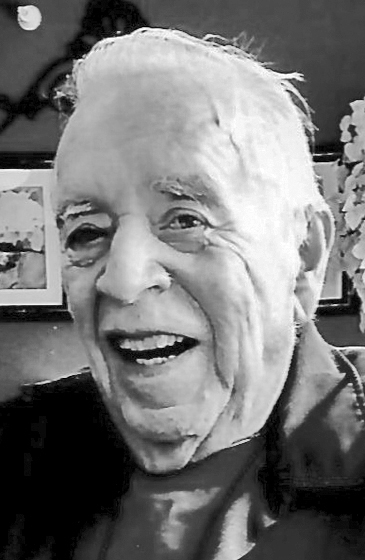 ISHPEMING, MI – Frederick Burton “Burt” Toy, age 87, former Ishpeming and National Mine resident, passed away on Sunday, March 26, 2017 at Mill Creek Memory Care in Marquette, while under the loving care of the Mill Creek staff, and the U. P. Home Health and Hospice. Burt was born July 24, 1929 in Ishpeming, the son of the late Frederick B., Sr. and H. Louise (Larson) Toy. Burt grew up in National Mine and was a graduate of the National Mine High School, Class of 1947. He furthered his education at Northern Michigan University from 1948 – 1952 in Elementary and Secondary Education. Burt served in the U.S. Army 1953-1955 stationed overseas in Germany with the HQ BTRY 594th FA Battalion. He taught in the Livonia Public School System for 34 years. After his retirement, he returned to the Ishpeming area. Survivors include 3 step-children – Sharen (Tim) Schwartz of Canton, Barbara (Adrian) Sheremeta of Northville and John (Janet) Sangala of Livonia, a sister Lois Toy of National Mine, along with 5 grandchildren and 5 great-grandchildren. He was preceded in death by his wife of 47 years, Evelyn (Arsenault), a brother Robert “Scott” Toy, a step-daughter Susan Reno and a granddaughter, Tanya Lyons. The family will greet relatives and friends on Thursday, March 30, 2017 from 11:00am -12:00 noon at the Bjork & Zhulkie Funeral Home. Funeral services will follow at 12:00 noon with the Rev. Lauri O. Maki to officiate. Interment will take place at the Ishpeming Cemetery. Military honors will be accorded by the Vietnam Veterans of America Chapter 380. Burt’s obituary may also be viewed at bjorkandzhulkie.com where relatives and friends may leave a note of remembrance.